Attorney, North Carolina Board Certified Specialist in Estate Planning and Probate Law, CPA, CFM, CMA, MAc., Managing Attorney of Danica Little Law, PLLC. As a successful and highly accomplished attorney, Danica understands complex legal issues and how to solve them, but more importantly she will take the time listen to your needs and concerns so that you receive the optimal legal advice for you and your situation. 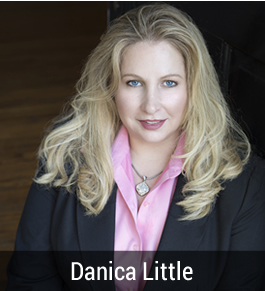 Danica Little is a North Carolina Board Certified Specialist in Estate Planning and Probate Law, a distinction held by less than 1% of North Carolina attorneys. 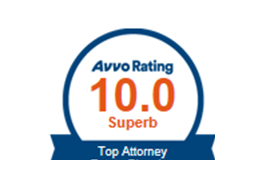 Attorney Little is honored as a Top Rated North Carolina Trusts and Estates Attorney, and an AV® Preeminent™ attorney by Martindale-Hubbell which is the highest distinction in the legal profession. She has received awards for outstanding client service and has received a 10 superb client satisfaction rating from Avvo which is the highest possible rating. Danica was recently featured in Charlotte Magazine Faces as the 2016 Charlotte Face of Estate Planning and Probate Law. 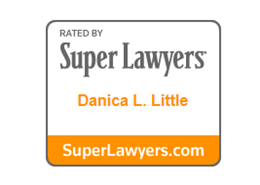 Danica was recognized by Fortune Magazine’s Top Women Leaders in Law and featured in Charlotte Magazine’s Top Attorneys numerous times, and named as a Best Attorney of America. Danica received the honor of being named “40 Under 40” by Charlotte Business Journal and recognized by Business Leader Magazine as a “Women Extraordinaire.” Prior to that Danica was named a “Rising Star” by Thompson Reuters Super Lawyers. She has been featured in the following publications: The American Lawyer, Corporate Counsel, and the National Law Journal as a Top Rated Trusts and Estates Attorney. Danica has also been recognized by Business Leader Magazine, Charlotte Business Journal, Southpark Magazine, and Ballantyne Magazine.